Enterprise search is the organized retrieval of stored business data within an organization so that users can securely enter and find data across enterprise databases.This type of software cleans and structures data to make information that is usually spread across a variety of repositories easier to find. Employees can benefit from using this type of software since all employees need to retrieve data from a mix of databases and shared sources to accomplish daily tasks. Enterprise search software “Google-izes" enterprise data: it circumvents the time and effort that went into tagging, filing, sharing, and retrieving information regardless of size and media type, creating a secure and powerful, easy-to-use search function. This type of software usually integrates with business intelligence and data management solutions which are used to clean and structure data in order to make information easier to find. While integration is not required, enterprise search software can pull information from various sources such as CRM, ERP, HR Management Suites, Supply Chain Management Suites, or Product Lifecycle Management. Enterprise Search reviews by real, verified users. Find unbiased ratings on user satisfaction, features, and price based on the most reviews available anywhere. Swiftype Site Search is a powerful, customizable, cloud-based site search platform. Create and manage a tailored search experience for your public facing website with best-in-class relevance, intuitive customization, and rich analytics. Founded in 2012, Swiftype’s industry leading search platform delivers accurate, relevant and customizable search results for businesses. Headquartered in San Francisco, the company has raised $23 million in funding, by investors including NEA and Y Combinator. Its strong customer portfolio includes AT&T, Shopify, SurveyMonkey, Dr. Pepper, publishers Engadget and TechCrunch, and brands like Qualcomm, Asana, Marketo and Hubspot. A smart, simple way to mine and explore all your unstructured data with powerful text analytics and machine learning Make a million documents as easy as one A large insurance company processed millions of claims a year. A complex claim that took 2 days to process can now be completed in 10 minutes with Watson Explorer. Unlock secrets hiding in your data A Global automotive manufacturer used Watson Explorer to identify defects faster, preventing expensive recalls and saving lives. Get results fast with cognitive assist A Global airline used Watson Explorer to enable a crew of over 2,000 to react more quickly to maintenance issues. With the help of IBM, over 200,000 cases per year are addressed 90 percent faster. DO NOT SUBMIT INQUIRES via G2. Go to Elastic.co. Elasticsearch is a distributed, RESTful search and analytics engine capable of solving a growing number of use cases. As the heart of the Elastic Stack (what used to be "ELK), it centrally stores your data so you can discover the expected and uncover the unexpected. Developed and maintained by Elastic, Elasticsearch can be deployed on-premise or in the cloud with managed or unmanaged services like AWS, Microsoft Azure and Google Cloud Platform. 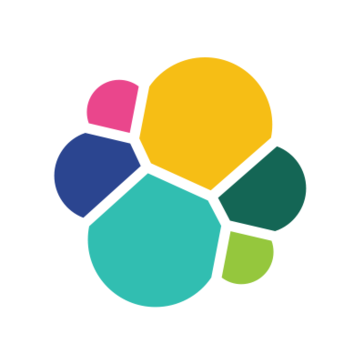 Organizations looking for managed Elasticsearch can use Elastic Cloud, the official hosted Elasticsearch service by Elastic. Cludo is an intelligent site search & insights platform. We utilize behavioral data to transform the way organizations manage their user’s online experience. We provide website visitors with a highly relevant & efficient search experience, and our clients with deep behavioral intent data on their visitors. Marketers can use this data to optimize the digital experience and content mix. Cludo is used by some of the biggest brands, educational institutions & government organizations across the globe to efficiently implement, customize, and gain deeper insights from their website’s search functionality. Google Cloud Search is a cloud search solution designed to seacrh through Gmail, Drive, Docs, Sheets, Slides, Calendar, and others. SearchSpring helps your online store grow by making it easier for shoppers to find the products they want through search and navigation. By automating and simplifying complex business processes from analytics to merchandising, we make it easier to run your business, and save you time and money. With local and experienced support, you’ll always have the help you need, when you need it. Better results for shoppers. Better results for you. Make better decisions, faster. Visualize and report on activity and search for commits, files, revisions, or teammates across SVN, Git, Mercurial, CVS and Perforce. AddSearch is a fully-featured, enterprise-level, hosted and customizable site search. We crawl your website and the installation is a breeze with our hosted results views. AddSearch supports all web platforms and you can customize the look and feel of the search if you want to. If you are a coder, you can integrate into our API to get further possibilities for customization. We also have dedicated, highly professional helpdesk team ready to answer your questions and solve your problems. The best information, everywhere, every time. That’s how Coveo helps today’s fastest growing companies keep their edge. Recognized as the Most Visionary Leader in Enterprise Search and as a leader in Big Data Search and Knowledge Discovery, Coveo intelligently delivers knowledge and critical insights from across the entire IT ecosystem at scale, through the cloud and on-premise systems. From intelligent self-service applications to intelligent contact centers, Coveo partners with some of the world’s largest enterprise technology ecosystems to provide a more intelligent, unified and engaging experience for customers and employees. Coveo currently has more than 1,500 activations in mid-to-large sized global organizations across multiple industries. To ensure our customers are always successful, Coveo has forged strong partnerships with leading technology vendors and system integrators around the world. Coveo is a strategic technology partner of Salesforce and Sitecore, and works with both companies to ensure our joint solutions are seamlessly integrated and our mutual customers are realizing maximum value. The Coveo Partner Network supports the company’s global, national, and regional system integrators from across North America, EMEA, and APAC. Through the network, Coveo offers a variety of partnership levels, and provides technical training, certifications, account & marketing support, and business planning services to its partners around the world. Apache Lucene, our flagship sub-project, provides Java-based indexing and search technology. SLI Systems is a global leader and provider of cloud-based, AI-powered e-commerce solutions and services. We make it easy for retailers to achieve higher sales and happier customers by accelerating e-commerce in three ways. We convert more shoppers into buyers, increase order values and generate more traffic. We do this through our cloud-based, AI platform that predicts what each shopper is most likely to buy right now. This means your search, personalization, recommendations, navigation, mobile experience, merchandising, and long-tail SEO are all optimized to take your e-commerce site to the next level. SLI delivers the competitive advantage you need and the customer experience your shoppers deserve. Hawk Search is a feature-rich e-commerce site search engine designed to help deliver a relevant and effective customer experience. Hawk Search customers are experiencing tremendous revenue increases with features including the utilization of 1:1 personalized search results, the ability to target the customer experience based on visitor location and demographics, intelligent search that automatically adjusts relevancy by popularity, a rich merchandising dashboard, responsive design and more. FlyView for SharePoint Meet FlyView, a innovative and lightning fast SharePoint navigation menu for SharePoint users that significantly cuts the searching time in SharePoint sites, libraries and folders. It is a must have tool loaded with useful features such as Instant Search, Preview Windows, Favorites and History links. It is easy to install and remove. Download the free Chrome extension now or contact us for the server version for IE and other browsers. The IDOL Server collects indexed data from connectors and stores it in its proprietary structure, optimized for fast processing and retrieval of data. Enterprise Search solution that makes it easy to find Sales & Service Cloud data, Custom Objects, Content and SharePoint, right from your Salesforce desktop. UltraFinder is a quick and lightweight Windows search program designed to find text in files anywhere. UltraFinder also allows you to find duplicates and eliminate or delete duplicates, keeping your computer clean and uncluttered while conserving hard drive space. Copernic Search Server is an enterprise search engine running on a Windows Server or PC. DEVONagent Pro queries all major and minor search engines, weeds out all the junk, and presents the really good stuff nicely ranked the way you want. A powerful, cheap and straightforward internal search engine for your website or e-commerce. Increase sales and attract users with Doofinder Search Engine. Perceptive Search, formerly ISYS, is an enterprise search technology that uses document filters to index, analyze and display document text. Funnelback is a highly-configurable search platform that can easily solve information problems ranging from website search to complex enterprise search. Advanced analytics, auditing and optimization tools empower organizations to identify opportunities and challenges within their content. Funnelback's intuitive dashboard gives an in-depth understanding of what's working and what's not, and under-the-hood AI provides customized recommendations to help build powerful, user-centric information strategies and engaging user experiences. Lucidworks is the leading developer of search, discovery and analytics software based on Apache Lucene and Apache Solr technology. Oracle Secure Enterprise Search 11g, a standalone product from Oracle, enables a secure, high quality, easy-to-use search across all enterprise information assets. 3RDi provides answers to every challenge you face from managing and exploiting unstructured content to deriving deeper actionable insights for boosting your business. It is a powerful and scalable platform which combines lightning fast search with context sensitive semantic enrichment, multidimensional information analysis and easy search relevancy management. It helps you take action, boost revenues and cut costs! The Attivio Cognitive Search and Insight Platform combines self-learning technologies such as natural language processing, machine learning, and knowledge graphing to deliver a contextualized search and discovery experience with a secure enterprise platform. The Attivio Platform indexes and analyzes enterprise data and content, regardless of format, and integrates behavioral data to personalize the user experience. By creating context for data and documents across silos, Attivio builds an intelligent information ecosystem. With Cognitive Search, knowledge workers can quickly get highly personalized and relevant answers. With Cognitive Insight, the system anticipates the user needs and proactively delivers information. An integral component of the enterprise IT ecosystem, the Attivio Platform powers solutions in the areas of Knowledge Management, Customer 360, and Communication Analytics. Version 5.5, the newest release, was designed to drive productivity and accelerate time to value for Attivio customers, with next generation machine learning relevancy and a host of other features and enhancements. Fabasoft Folio takes care of the consistent, secure and reliable document management within a company as well as for the implementation of digital business processes. With features for Enterprise Content Management, Collaboration, Workflow, audit-proof Archiving and Records Management, Fabasoft Folio sustainably increases the competitiveness of companies. Linbit SDS is the revolutionary Block Storage Replication tool. Companies implement software-defined storage (SDS) in order to easily provision and manage data storage, independent of the underlying hardware. LINBIT’s groundbreaking SDS product ties together data availability, performance, and scale, making it perfect for your cloud storage environment. Storage for cloud environments Storage needs to be easy to provision, fully accessible, and as reliable as possible. Ideally, you can achieve this without expensive license fees from storage vendors. Commodity hardware Utilizing commodity hardware with open-source software, you can turn cloud storage into an affordable, distributed network storage. With LINBIT SDS, and without proprietary license fees, you can create highly available block storage for VMs and/or containers inside your IaaS or PaaS system. Enterprise virtualization From your storage’s point of view, an enterprise virtualization system has the same requirements as a cloud environment. Your storage needs to tolerate hardware failures. LINBIT SDS will provide this resilient storage. Sajari is a real-time, cloud-based search and matching engine that is powered by machine learning. Sajari cloud-based search engine is highly flexible, catering to the needs of businesses of all sizes in a variety of contexts; including search for large information-rich websites, e-commerce, and product search, matching professional profiles to job openings, patients to the right doctor and people to upcoming events. Determine the most profitable items to sell. Upload and analyze entire product lists, view Amazon's complete catalog, identify items with a low sales rank and less competition. Slyce is a visual search company that has spent years crafting image recognition technology that solves real-world problems for the some of the world’s largest retail businesses. Today’s consumers hold a supercomputer with the power of a DSLR in the palm of their hands. This hardware combined with state-of-the-art image recognition makes it possible to efficiently and accurately find nearly any object with a smartphone snap. We believe strongly in the power of visual search as a mobile discovery experience and that visual search has the power to effect change in the way people discover, interact and shop for the products all around us. Swiftype Enterprise Search is a suite of AI-powered applications that help you search, discover, and organize data across services like Salesforce, G Suite, Office 365, Dropbox, and more. Founded in 2012, Swiftype’s industry leading search platform delivers accurate, relevant and customizable search results for businesses. Headquartered in San Francisco, the company has raised $23 million in funding, by investors including NEA and Y Combinator. Its strong customer portfolio includes AT&T, Shopify, SurveyMonkey, Dr. Pepper, publishers Engadget and TechCrunch, and brands like Qualcomm, Asana, Marketo and Hubspot. Zoom Search website search engine script is the easiest way to add a powerful custom search engine to the website, intranet, or CD/DVD. Alibaba Cloud Elasticsearch is a cloud-based Service that offers built-in integrations such as Kibana, X-Pack, and Alibaba Cloud VPC, Cloud Monitor, and Resource Access Management. With Pay-As-You-Go billing, Alibaba Cloud Elasticsearch costs 30% less than self-built solutions and saves you the hassle of maintaining and scaling your platform.